I need some help from an Admin. We logged in today (tribe member and me), and we had all of our other dinos and Thylacoleos but one Thylacoleo seems to have vanished. The one we are looking for is of course our highest level Kitty, around lvl 215-220 I think, we were leveling her a lot so I don't remember exactly. Anyhow, the issue is that she seems to be just gone. We know there is a problem with them glitching through the floor, it happens all the time. We are thinking that it must have feel through the ground or something, we are not sure how it couldn't be in our base. Location of the lost kitty is about 75 Lat, 45 Lon on the island map. If you can check if it fell through, I would really appreciate it. Make sure you look in the tribe log to make sure it is not dead. The falling through the world glitch was fixed a long time ago but seeing how every time the devs fix one thing they seem too break 4 others there is no telling. We will take a look the next time we log in. I looked and all I saw was the 4 or 5 cats you had hidden under your base. I did not see anything under the world. I checked the logs and it doesn't show that it died. Also, I am not hiding them under my base....they fall through the floor. They are actually considered inside the building as you can not ride them unless you call them to you inside and have them glitch back up through the floor. This game is really starting to frustrate me. First loosing a Wayvern to the fact that the game didn't load a extremely well armed base and I flew into it and my Wayvern died before I even saw the base. Now the Thylacoleo that we were leveling to breed to try to use to get a new Wayvern...disappears.... It's like the crappy game code doesn't want us to succeed. Is it possible to see if a particular dino that belongs to our tribe is still alive? Kitties name is Iron Heart. Welcome to the world of unfinished games you are playing in Alpha. 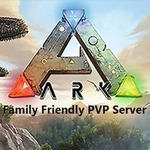 No unfortunately the Ark Devs have not given any admin commands to summon or locate dinos.